Lulu has many interesting and wonderful qualities, but what she’s known for is her love of animals and her huge collection of them. 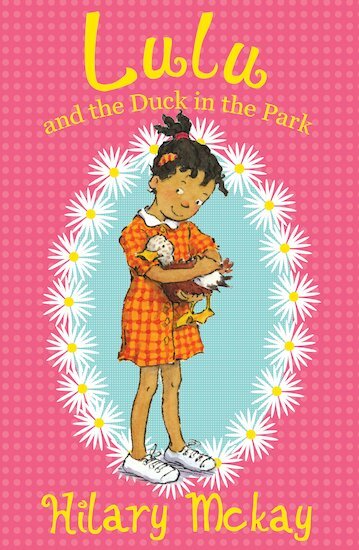 One day, while her elementary school class visits the park, she gets hold of a duck egg that needs protection. Despite her teacher’s blatant dislike of animals, Lulu takes the egg back to class with her. All is well, until... the egg suddenly starts to hatch! This chapter book is by Hilary McKay, the author of the Casson family series, the first book of which I reviewed last year. 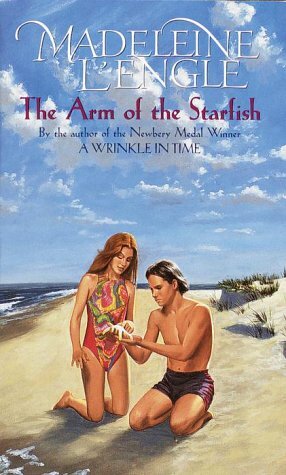 Since it’s for a younger audience, this book deviates quite a bit from the style of the series books, but it’s every bit as well-written as McKay’s books for older readers. Lulu, whose personality reminds me a lot of Ramona Quimby and Clementine, is the kind of good-hearted, bold character kids really relate to and root for. Her predicament with the duck is just the kind of thing that makes five to seven year olds laugh, but it also appeals to that common interest in rescuing animals that leads so many kids to say they want to be veterinarians. Though I was somewhat puzzled by the class trips to the park and a bit uncomfortable with how strict and mean Lulu’s teacher seemed to be, I don’t think these are true flaws in the story. Rather, I think they demonstrate how attuned McKay is the minds of kids. Children do often see strict adults as simply cruel, and I doubt kids will notice anything unusual about a few extra field trips. In fact, reading about walking through the park is probably more fun than reading about regular classroom activities. An obvious companion for this book would be Duck for a Day by Australian author, Meg McKinlay. I also think it would be a nice tie-in for a science project involving hatching chicks. Every year, the Austins count down to Christmas with an Advent calendar and daily surprises. This year, the Christmas season is especially exciting because seven-year-old Vicky will play the angel in the Christmas pageant, and Mrs. Austin is expecting a baby (Rob) right around the holidays. There is only one problem - what if the baby comes early and Mrs. Austin has to be in the hospital for Christmas? Vicky can’t bear the thought, and wonders how it can be possibly be Christmas if the family isn’t all together. This novella was originally published in 1964, following The Moon by Night. It doesn’t seem to have any particular significance to the series as a whole, but since I fell in love with the Austins in their first book, I liked reading through this little piece of their family history, which introduces the youngest brother, Rob, into the family. Like all the L’Engle books I’ve read so far, this one upholds the same high standard of literary quality. Though the plot itself is somewhat saccharine, the storytelling appears effortless and immerses the reader in beautiful descriptive language. It’s obvious that this book is intended to evoke all the warmth and coziness young kids associate with Christmas, and because of that, it felt a bit predictable and gimmicky at times, but I didn’t have a real problem with that. 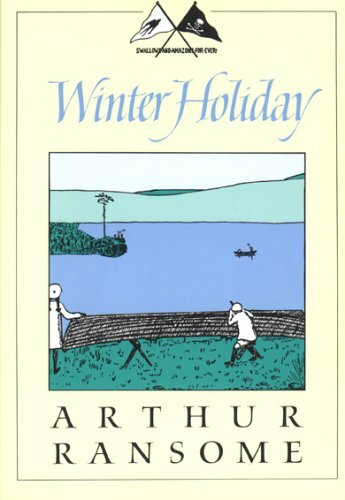 Christmas books lend themselves to sentimentality, and I think L’Engle does a nice job of presenting those hokey holiday feelings without becoming too maudlin or mushy. I always seem to spoil things. I look out the long kitchen window at the mountains, thinking: Please don’t let me spoil anything this year. This feeling of Vicky’s that she is somehow other, and exists separately from the rest of her family, definitely hearkens back to the feelings she articulates in The Moon By Night when her family doesn’t take to Zachary Gray, and gives the reader a glimpse into how this feeling may have developed earlier in her childhood, as Vicky began to understand her place amongst her siblings. 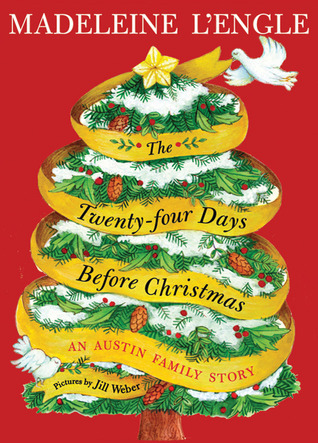 The Twenty-Four Days Before Christmas is a perfect holiday read that I might just pick up again when Christmas rolls around this year. It’s also a nice slice of life story for readers anxious to know everything about the Austin family. 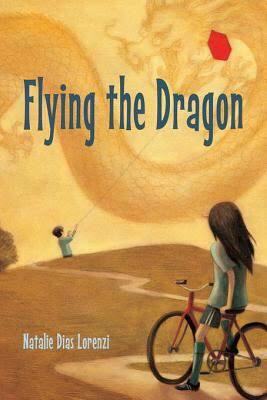 The illustrations in the 2010 edition are somewhat distracting from the mood of the story, but even their contemporary style doesn’t rob L’Engle’s writing of its charm and nostalgia.